Following the recent launch of new West Lothian services here, EastCoastBuses has launched a fleet of 8 brand new, low emission vehicles for its East Lothian and Edinburgh operations, at an investment of nearly £2m. The 8 bespoke Euro 6 Volvo B5’s with Wright bodywork have been designed to high standards. The new buses will be allocated to Service 124, which operates between North Berwick and Edinburgh, improving capacity on this popular, fast growing route. Following an investment of just over £3m fifteen months ago into new single deck buses, customer growth has now outstripped capacity. The custom built specification for EastCoastBuses features USB charging points at all seats, a new design of luxury high-back seating, increased glazing for improved visibility and media screens with next stop audio and visual announcements, which have all been designed to enhance and improve the customer experience. 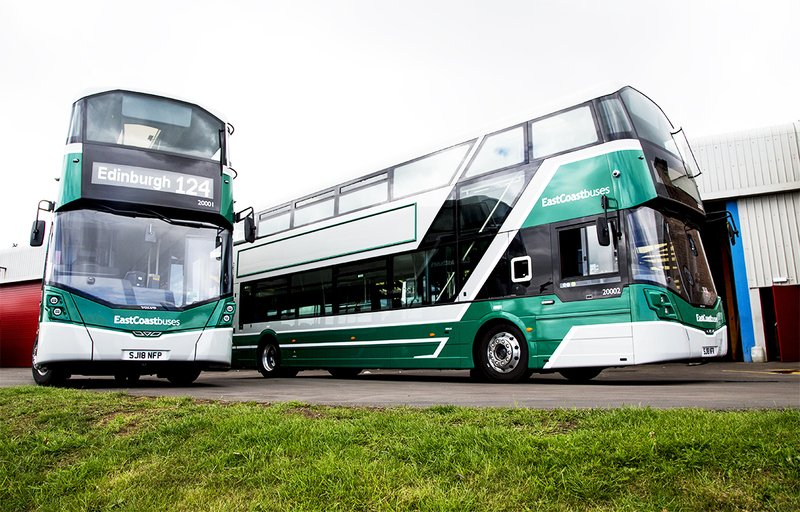 Mark Heritage, EastCoastBuses General Manager said: “We are delighted that year on year we can continue to invest in our fleet for the benefit of our customers and driving team. These bespoke, high quality vehicles have been designed with comfort and safety in mind and will enhance the customer experience while travelling across the county. “This level of investment highlights our continued commitment to the local community and builds on our promise to provide a first class service for the area. Since starting operations in the area where bus usage had seen year on year decline, we have in the last two years seen customer growth of over 52% which is a real testament to our dedicated workforce who deliver a fantastic customer experience every day. This proves undoubtedly that by designing routes and services based on what our customers want, coupled with investment and high standards of service delivery, we can reverse much of the decline that is being seen in bus usage across the country." 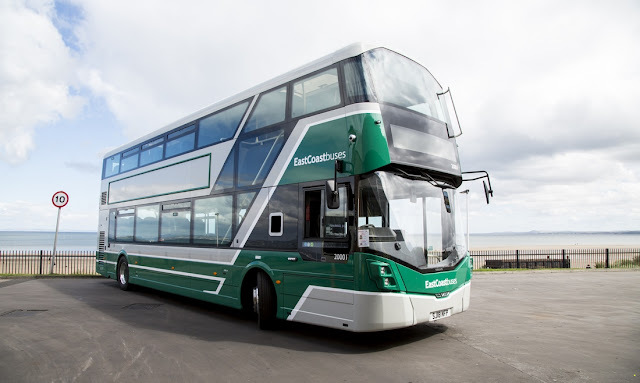 EastCoastBuses are now a regular sight on the roads of East Lothian and are integral to the local economy and attractions throughout the county as well as providing vital transport links for the whole community. Since operations began in August 2016 the business has steadily built on its portfolio of routes and services including a Night bus service at weekends. This combination of development measures and dedication to delivering the best possible customer service has resulted in significant growth in customers and ongoing expansion of the business which now employees 130 people.